I know, I know, summer is over. It really is. It is dreary out there, raining and cold. But I found this rosé or blush wine two weeks ago at Trader Joe’s (yeah, right, why do they only start carrying this one now, when it gets colder?) and had to give it a try. 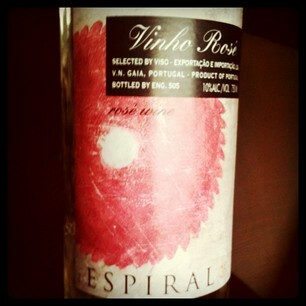 I am huge fan of its sibling Espiral Vinho verde, so it seemed natural to give this one a try. Just as the vinho verde, vinho rosé is meant to be a young, fresh, slightly bubbly drink, uncomplicated and fun. For more info on these young wines from Portugal check out my vinho verde post mentioned above. This non-vintage wine has 10% ABV and I paid about $5 for it at Trader Joe’s. The color is intriguing, a rather bright, slightly darker pinkish red. On the nose, I immediately got bubble gum, then strawberry and melons. Except for the bubble gum, it smelled like fun. On the palate, there was lots of strawberry, a certain creaminess to the wine, and it had a nicely lively acidity. It had some hints of bubbles, but had clearly settled, and at some point the wine reminded me of the Espiral vinho verde with its pear and apple notes. It was definitely a nice, easy to drink wine and I am looking forward to having more of it next summer…because, while it brought back memories of summer, it was definitely not a season appropriate rosé (which in fact exist!). Just tried the rose. It was good. Spring has arrived in DC, and this was our first “summery” wine of the season. Lucky you! We’re getting there, slowly but surely. 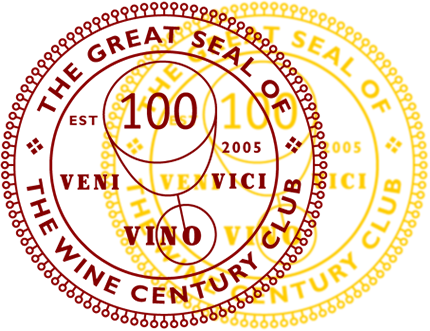 Make sure you try the white vinho verde, too. I think it is better than this one. Thanks for stopping by! I hope you can find it at your TJ! Hmmm….haven’t heard of that one. I just love Portuguese wines. A friend of mine is from Porto, and her father owns a winery…visiting was awesome. We are lucky to see ‘regular’ VV in this Wine-forsaken state. I’ve been wanting to try a rosé for some time now, but have yet to come across one! We’ll have 70’s and slow 80’s this week; so we’re still in to “summer” as I know summer. Next summer–will you have stocked up on this? How will you store it and will it keep well enough to enjoy next year? (At $5, anything that is drinkable is a pretty good deal, I think). Nah, I am not stocking up on it now. I doubt the wine would retain its freshness. I am just hoping they will carry it a bit earlier next year.